The iPhone 5S was the last of the 5 series of iPhones and the first iPhone to include Touch ID (a fingerprint recognition system). First unveiled on September 10th, 2013 it was released alongside the 5C 10 days later. The 5S came in three colour schemes – white/gold, white/silver and space gray/black. 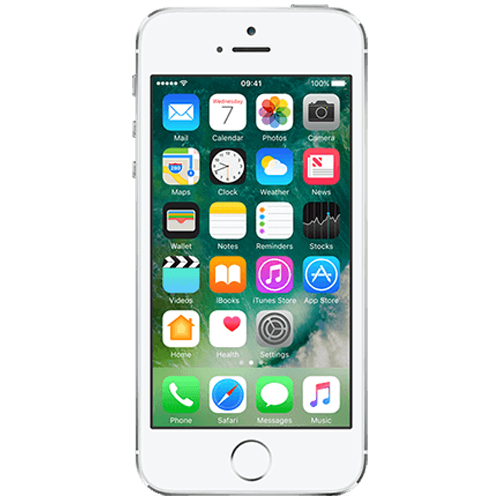 The iPhone 5S saw the benefit of the A7 64 bit dual-core processor (the first 64 bit processor to be used on a smartphone). At the time it was widely regarded as the best smartphone on the market due to its fast processor and fingerprint recognition system. The iPhone 5S is still a popular phone and stands up well against much newer iPhones. Needless to say, repairing an iPhone 5S is a daily task for a WeFix technician. If your 5S is in need of some extra TLC then book yourself a repair today. Our ultra secure website is easy to navigate and booking up takes a matter of seconds.